Roseanne, Morgan Freeman, Kim K, Drake vs Pusha T...and MUCH MORE... LIVE! If you liked this show, you should follow Dedan tolbert. 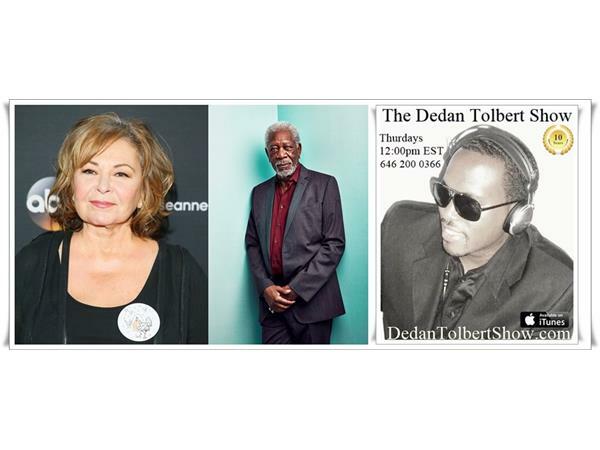 “The Dedan Tolbert Show” is LIVE today (and every Thursday) at 12:00pm EST where I’ll be discussing the cancellation of Roseanne’s show because of a racist tweet, Morgan Freeman being the latest casualty of the “Me Too” Movement, Kim Kardashian meeting with Donald Trump to discuss prison reform, Drake VS Pusha T… plus MANY other topics! Also streaming on FB LIVE.